Karl von Frisch (1886 – 1982) was an Austrian scientist who won the Nobel Prize in Physiology or Medicine in 1973 for his work on the sensory perception of the honey bee. 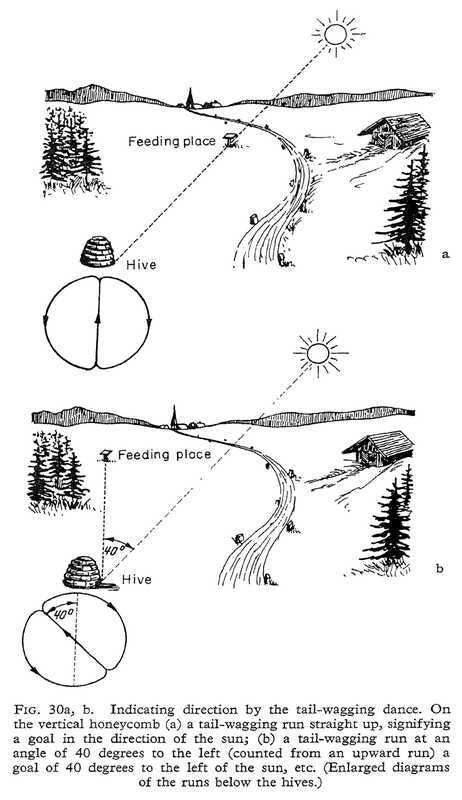 One of the things he did was work out the meaning of the waggle dance by which bees indicate distance and direction of food. A diagram from his book A Biologist Remembers (1957) HERE. And his Nobel prize speech.